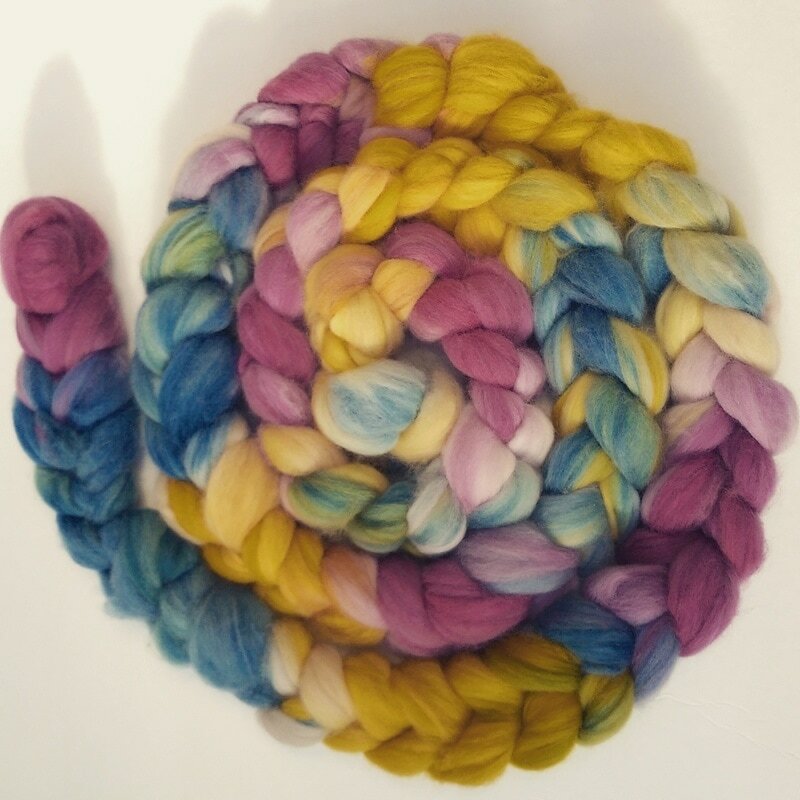 We currently offer over 30 naturally dyed shades of unspun wool (Romney, Alpaca and Merino) as well as 7 natural shades (as they come off the sheep): Romney, Alpaca, Gotland, Cotswold, merino, Icelandic. 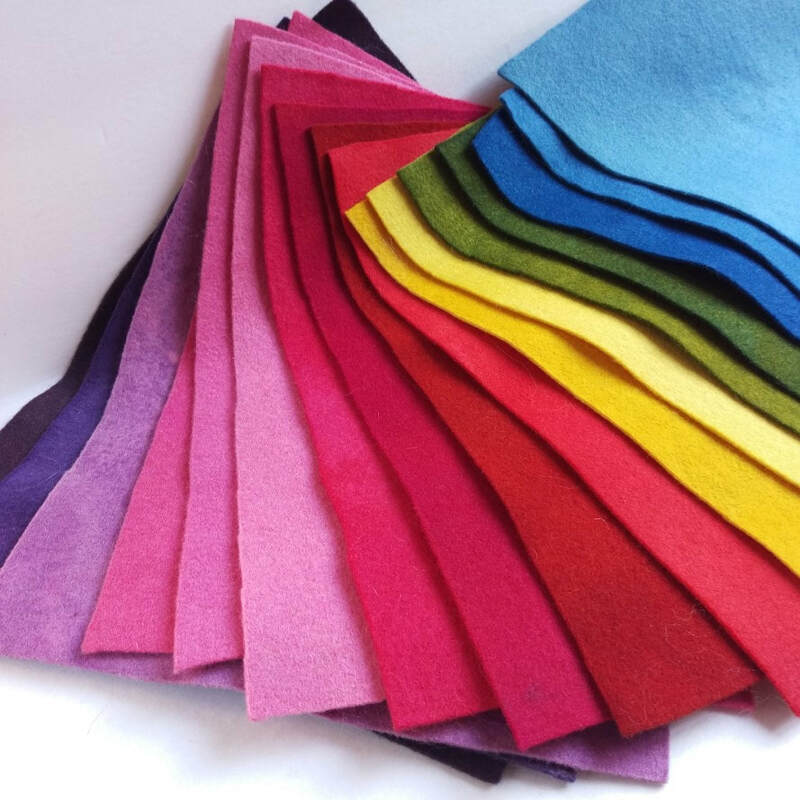 See colour chart for more information. 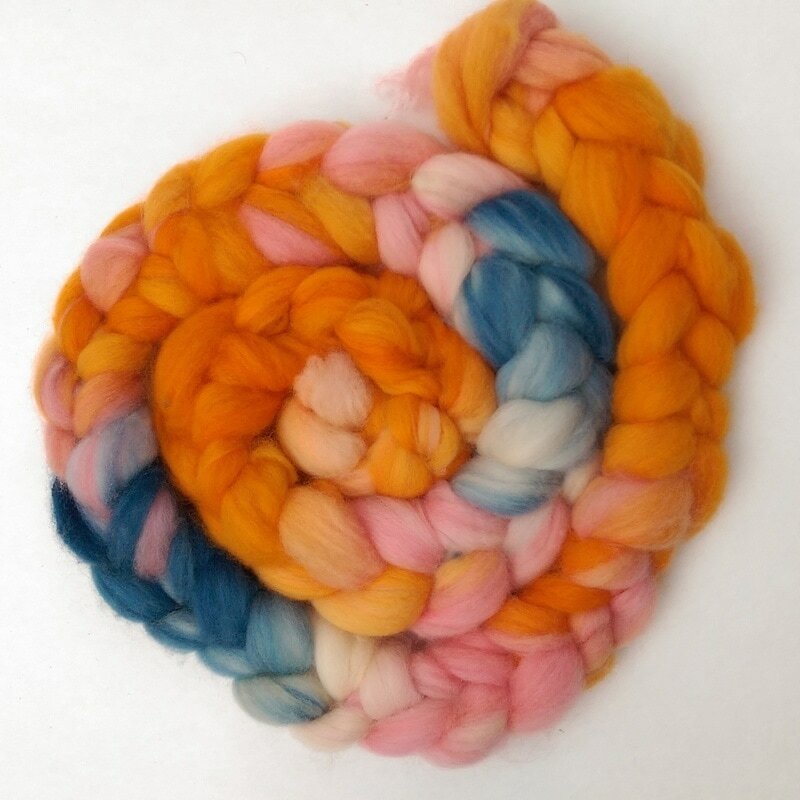 You can purchase either single shades or mixes, in either 25g, 50g, 100g, 500g or bulk (upon request), for both carded wool as well as locks. 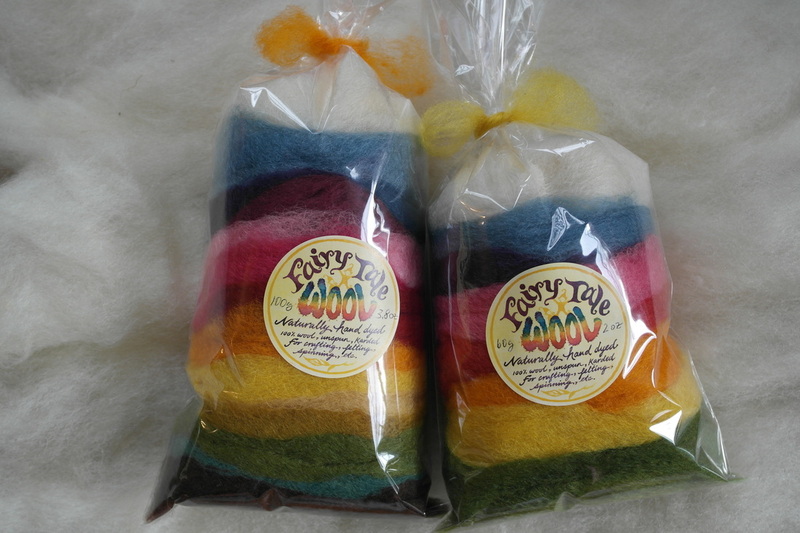 Available also are 2 felting kits, for either needle felting or wet felting. 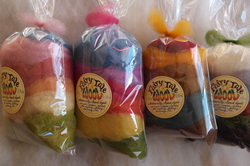 We also offer a rainbow fleece, with approx. 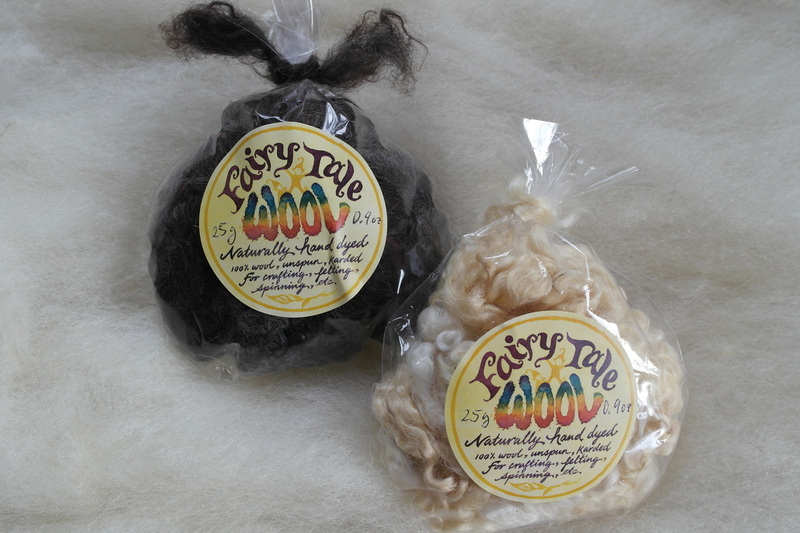 12 – 13 shades carded into a batt of roving, but also available as sets of rolags. 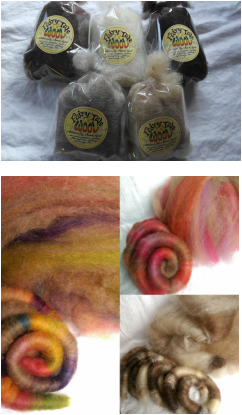 They come on 3 bases: Romney, merino or alpaca. 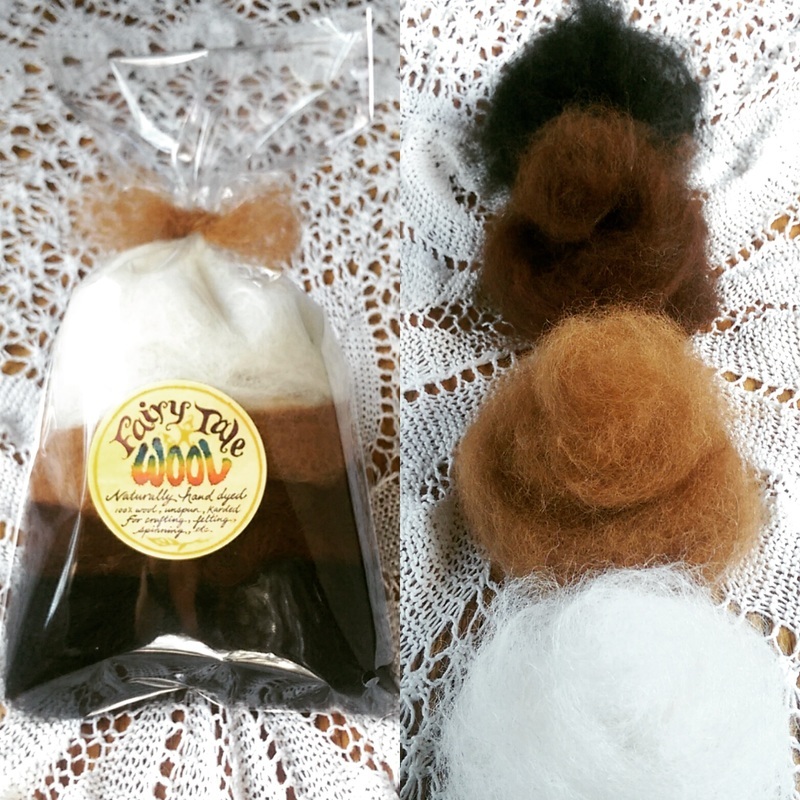 Art batts and rolags are offered as one-of-a-kind. 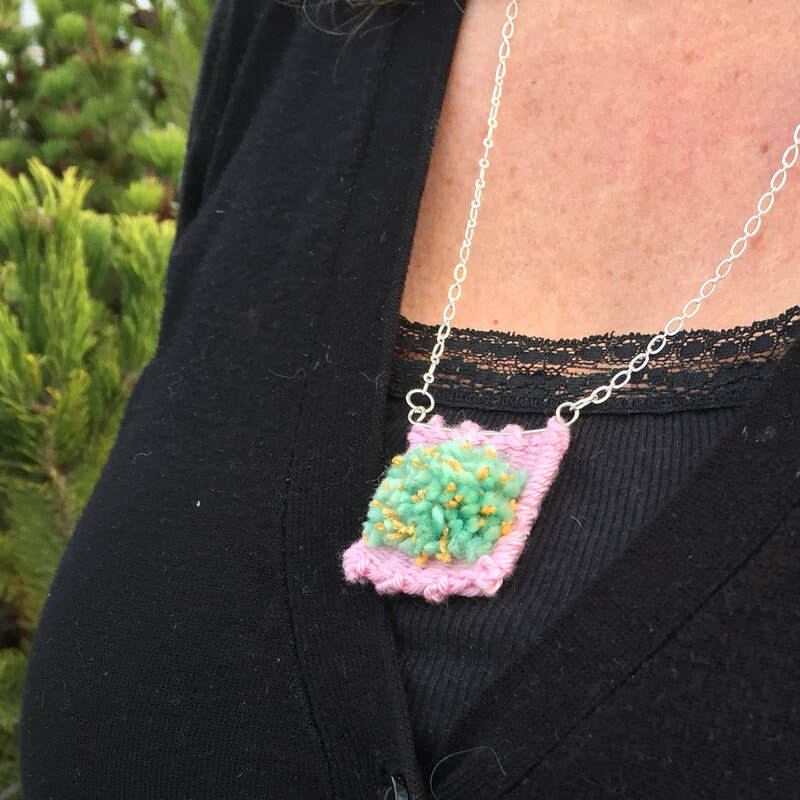 Custom orders are always welcome. 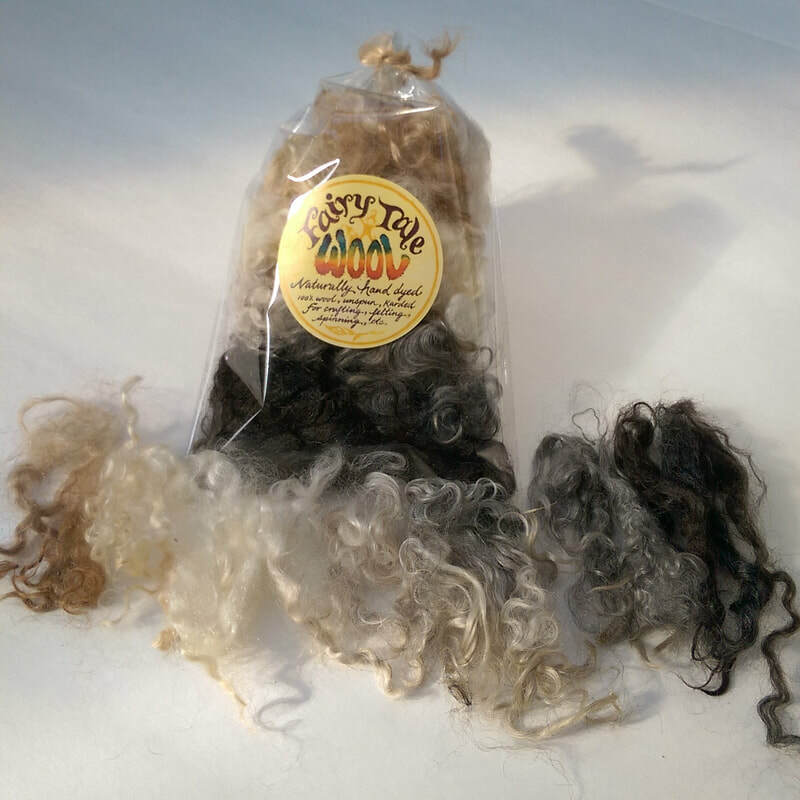 Naturally dyed locks are available as Cotswold or Mohair as well as in natural white and natural black-brown (mohair only)..
For spinners we offer a collapsible drop spindle in 5 shades. 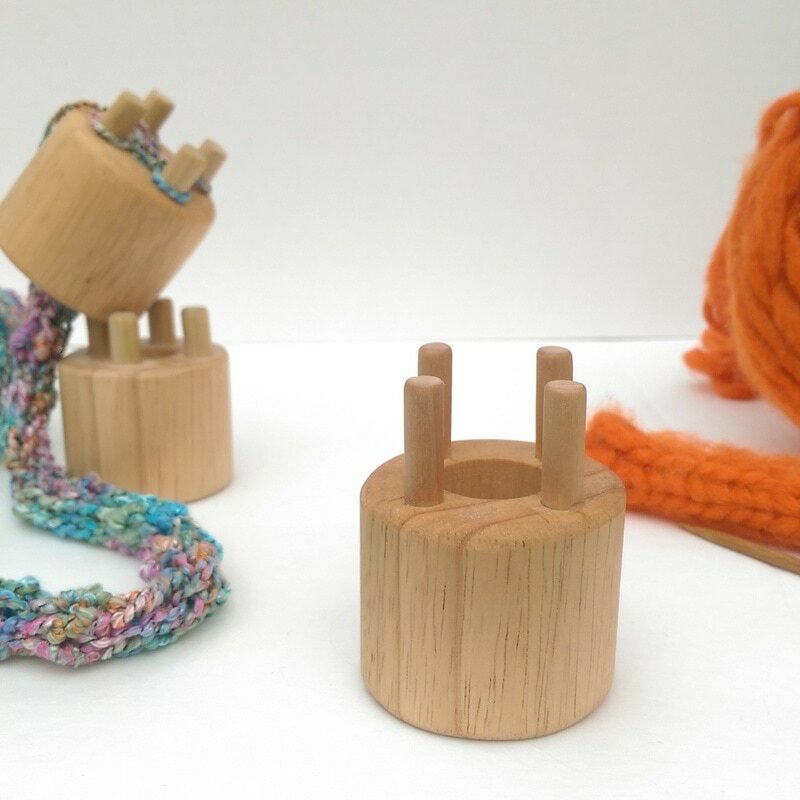 For knitter there is Loopy Lucy, a rope knitter/ lucet, designed for knitting chunky yarns and roving into i-cord. 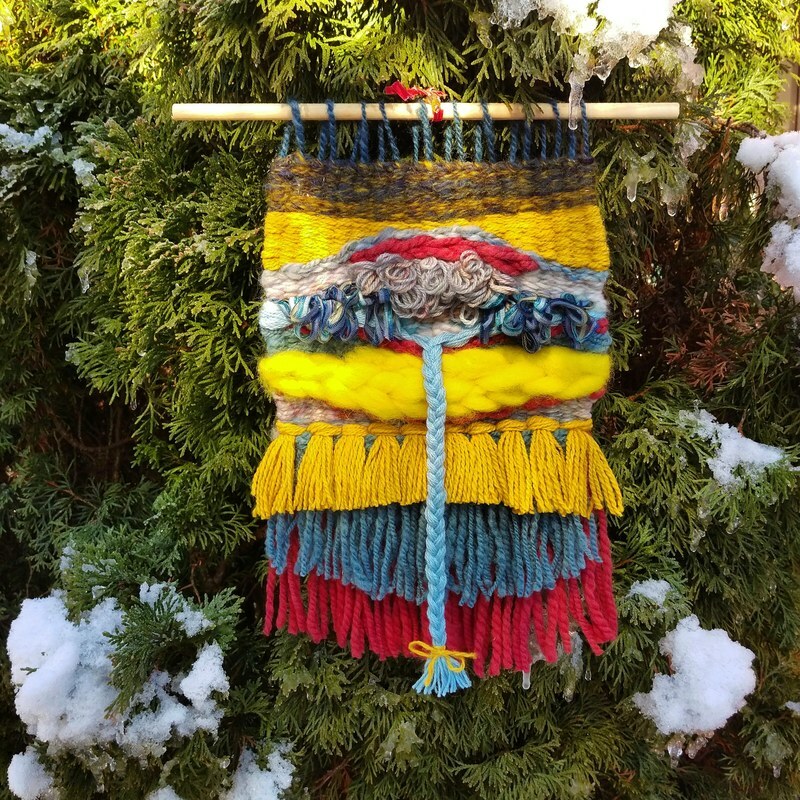 Weaving kits are available, too. 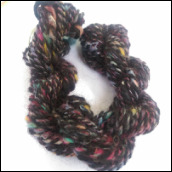 You can request your customized fiber mix, in both natural as well as dyed shades. 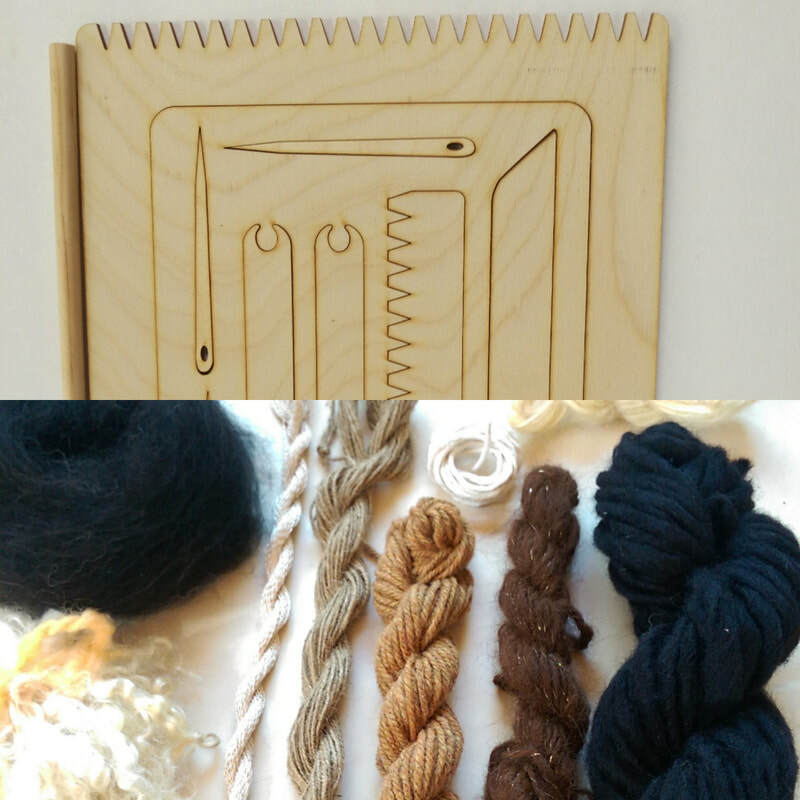 Pop-out looms are also available individually. 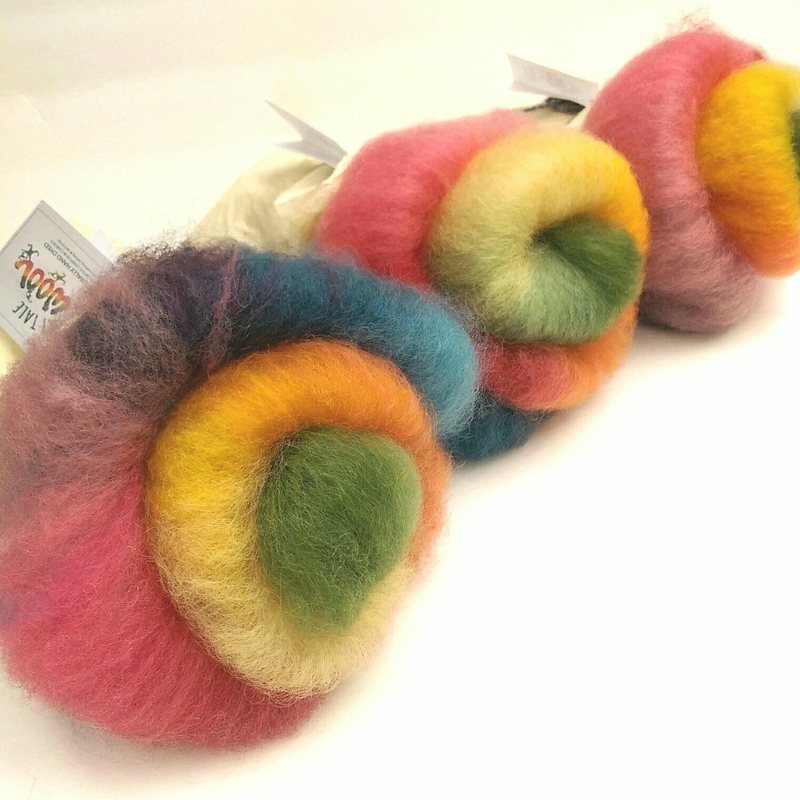 Periodically you might also find weavings, felted figurines and specialty yarns (like our gorgeous Bling Batts!) in our Etsy shop. If you are looking for a shade currently not offered, please contact me and I will probably be able to produce it. Exceptions are turquoise and azure. 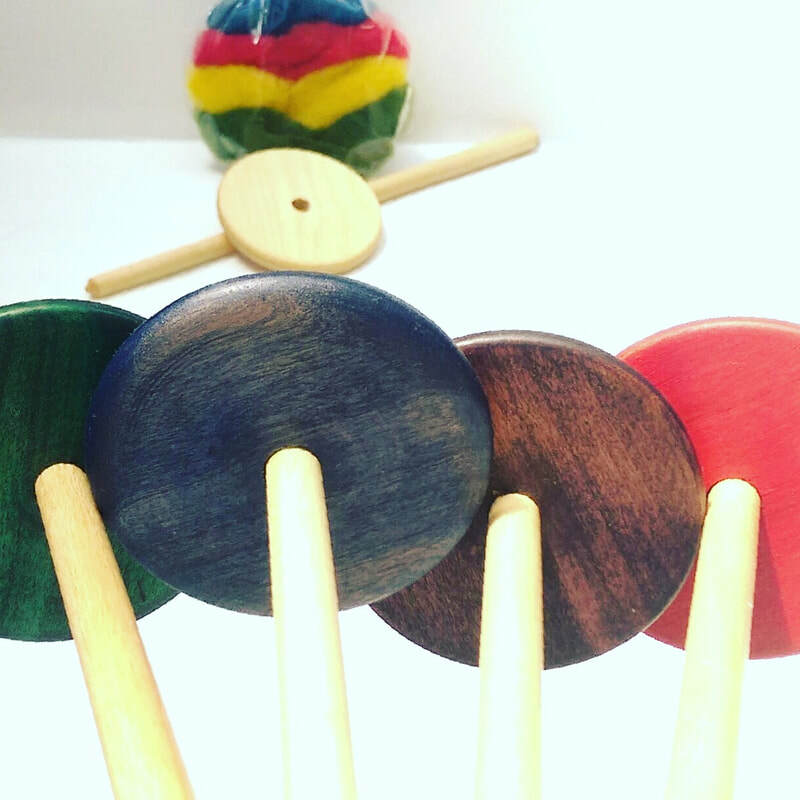 ​Click on individual pictures or click the 'Buy Our Products Here' on the home page, and enjoy cruising the Etsy Shop!